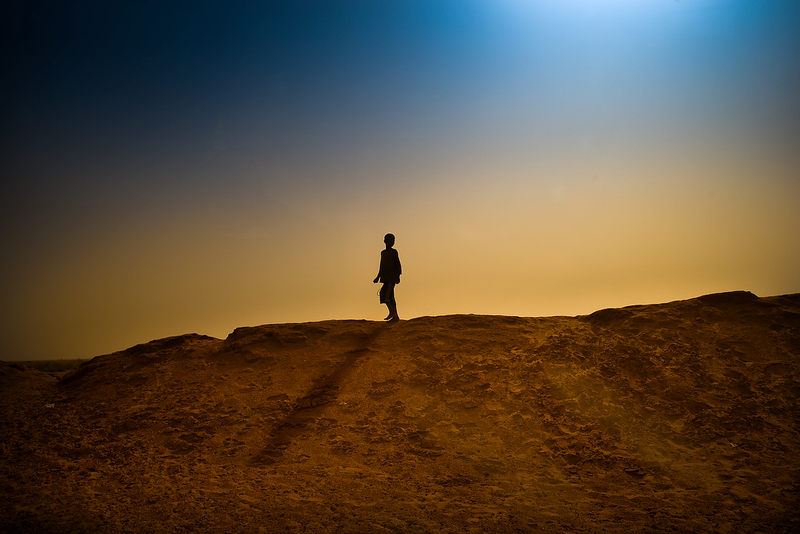 A boy walks on the sand bank surrounding M\'Bera refugee camp. M'bera, Mauritania. Mauritania is the largest recipient of refugees fleeing the crisis in Mali. There are around 53,474 Malian refugees in M"bera camp, 58 per cent of them children under 18.